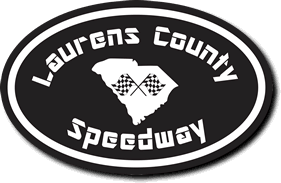 Goose Calvert could see him coming in his rear-view mirror, the man who would chase down his car after trailing for nearly the entire SECA 604 Crate Division main event race Saturday night at Laurens County Speedway, and couldn’t do anything to stop him. And Dale Timms, his persistence rewarded, found his way back to Victory Lane. Timms won the main event by .986 seconds over Calvert, while Deano Long took home third place. Calvert started the race on the inside of Row 1 and quickly grabbed the lead. Timms, who started third, began to chase down Steve Bowie in second. On the fourth lap of the main event Timms found his way into second, and slowly started to close the gap between himself and the leader. The gap was 1.11 seconds with six laps gone in the 15-lap main event, but continued to shrink lap by lap. With three laps to go the gap was down to .339 seconds between Calvert and Timms, with Timms trying to find a way by. With two laps to go the lead was about a quarter second, still with Calvert in front, but Timms finally found his opening as passed Calvert to capture the lead. From there Timms blew past Calvert and ended up winning going away. 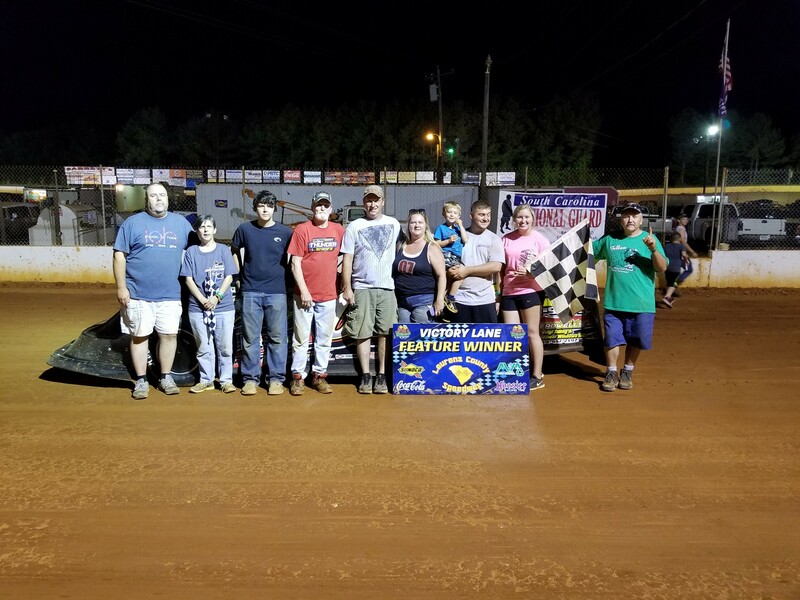 Thunder Bombers: Dan Lawson was back at LCS for the second straight week, and this time he found his way to Victory Lane by winning the main event, and won a $1,000 bonus prize for taking first place. Tinker Roberts was second and Casey Lawson took third. Dylan Chappell started the race on the front row, but both Roberts and Dan Lawson surged by Chappell at the start and grabbed the top two spots, with Roberts in first. The two drivers continued a strong battle through the remainder of the race, but as each lap went by Roberts managed to hold on – until Lap 8, when Dan Lawson finally found his path and made the pass to get by Roberts and capture the lead. Dan Lawson never opened a huge margin for the lead, so he had no chance to let off the gas with Roberts still in striking distance, but Dan Lawson proved too tough to slow down and managed to ultimately win by more than seven-tenths seconds. Limited: Michael Smith was back in victory lane for the first time in more than a month, winning his third race of the season. Frank Coates was second and Austin Watkins was third. For Smith the night proved to be very fortuitous. After winning the pole position he let Lady Luck guide him when he picked the No. 1 ball out of a box before the main – the number was meant to determine how much the field would be inverted from its qualifying order and set the lineup for the main event. By picking No. 1, though, the field was left just as it qualified. And for Smith, that meant he stayed right on the front row. He never trailed in the main event, either, and routinely led by more than a second over Coates in the final laps of the main event as Smith won comfortably. FWD: Joel Cabe found his way to Victory Lane for the second straight week. Cabe held off Travis Jamieson, who finished second in the main, and third-place finisher Justin Reed. The drivers just beat the rain as it lightly started to fall at the track before what was the final main event of the night, and Cabe got out to a strong start on what was the second attempted start. Cabe looked to be in advantageous position after the first two laps, but had to do it all over again after a caution came out on Lap 3. Jamieson, who was in a fierce battle with Reed, was later warned by track officials that if they both continued their aggressive battle that they’d be booted from the race. Both drivers adhered to the call, and raced tough but fair the remainder of the night. As for Cabe, he held a good lead until the very end when, on a Green-White-Checkered flag finish, he had to hold off a hard-charging Jamieson, but Cabe proved the better driver by .105 seconds when the two hit the finish line on the last lap. Monster Minis: Larry Teal stopped Jasper Brown by 1.71 seconds to win the division’s main event. Brown took second and Tim Collins was third. Teal held the lead after the second attempt to start the main event, with Brown following in second, but as the race went on Teal started to build more than a two-second lead. 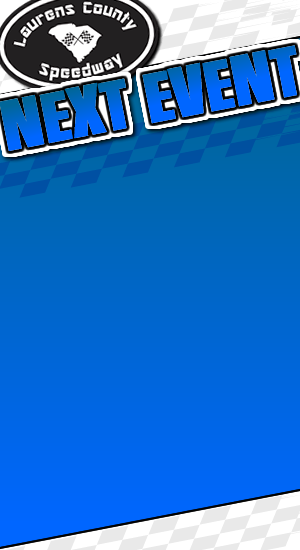 It appeared the race was well in hand just past the halfway mark until a caution came out and bunched the field back together with about half the race left. 602 Crate: Jeff Robertson blew away the field in the main event, denying the Patterson’s another victory. Chris Patterson was second and Butch Riddle was third. Mart Patterson held the lead at the start with Robertson following behind him, but the lead was slim at the start. Robertson started to lose a bit of space on Mart Patterson midway through the race, but with three laps to go a caution came out on Patterson for contact with Robertson. Robertson took back his spot in first place, and when Mart Patterson was sent back (and ultimately finished fourth), it was Chris Patterson who took over second place. But no matter what Patterson was behind him, Robertson was too tough to stop and won the race by more than two seconds.